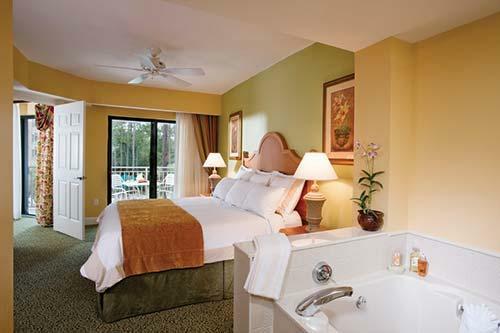 Timeshare at Marriott's Barony Beach Club is located in Port Royal Plantation, only a short drive from all that the island has to offer. The beautiful sandy beach is within easy walking distance from the garden villas. Each spacious, two-bedroom villa includes a private balcony, whirlpool, fully equipped kitchen, utility room with washer/dryer, and living and dining areas. Guests will enjoy four swimming pools, five whirlpool spas, a putting green, shuffleboard courts, a full activities program, barbecue grills, The European Spa, the MarketPlace Deli, and the All Y'Alls Bar and Grill. 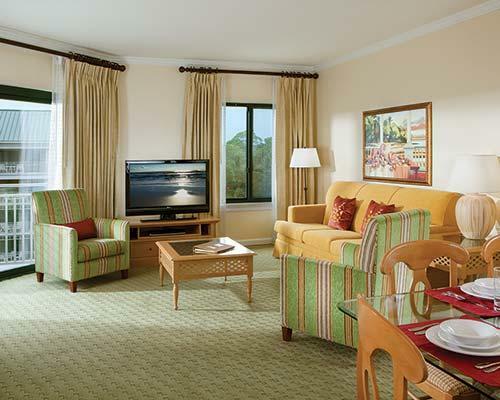 Owning your own Marriott's Barony Beach Club Timeshare you will enjoy privileged access to the Atlantic Ocean and miles of beautiful wide sandy beach. Perfect for a moming or evening stroll or jog, or just relaxing and enjoying your vacation. Almost certainly you will, during your stay, see pelicans, dolphins and the local shrimp boats, plus many varieties of bird life. In addition to being one of the US's premier resort destinations warmed by year-round breezes of the Gulf Stream, Hilton Head offers a wide variety of vacation opportunities and experiences, with more than 250 restaurants representing a myriad of cultures. It has 12 miles of sparkling sandy beaches, together with 20+ championship golf courses that make it a golfer, paradise. 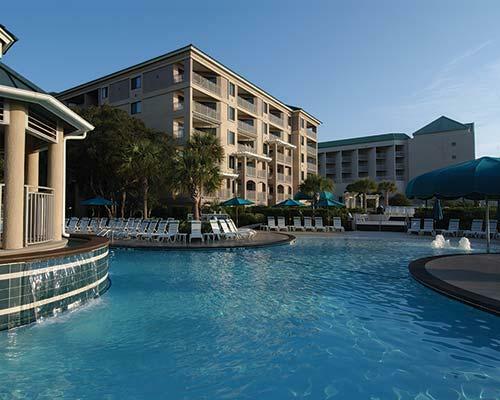 Hilton Head Island offers many activities including tennis, golf, fishing, water sports, bike rentals, art galleries and museums and walking trails Of course, there are fantastic shopping facilities, together with a number of leading outlet stores. 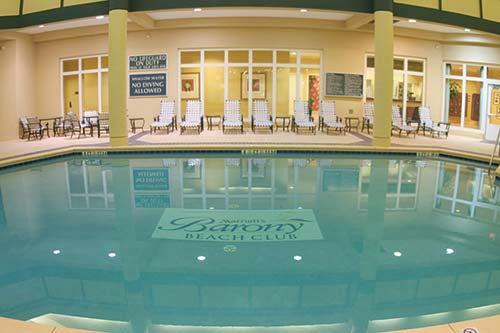 There really is something for everyone at Marriotts Barony Beach Resort. Nearby places of interest include the historic towns of Bluffton, Beaufort, Savannah and Charleston SC, all of which are within easy driving distance by car. If you prefer, from Harbour Town you can take a boat to Savannah for a truly memorable experience that you will want to repeat year after year after year.